LG is coming to CES 2019 fully loaded with must-see tech next month. And, as usual, the company is offering a sneak peak at what it plans to showcase during the world’s biggest tech show. 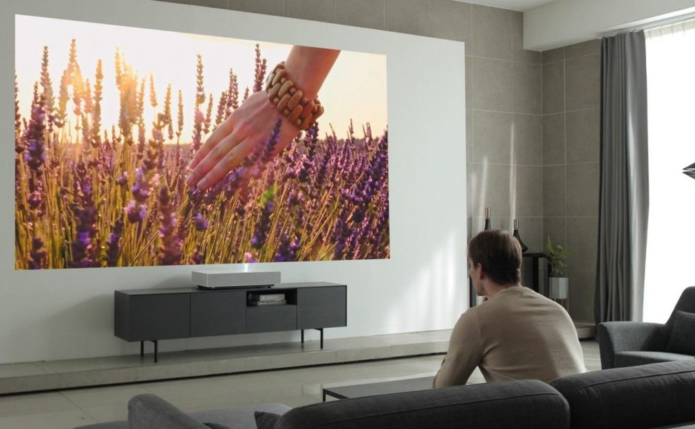 Today, the company announced a new laser-based CineBeam 4K projector that can create a 120-inch display on your wall from just 7-inches away. The projector can be placed on the ceiling, the floor or an entertainment centre and still create that Ultra HD imagery in the perfect aspect ratio.